The move was seen contrary to the government's Ujjwala scheme of providing free LPG connections to the poor, said a source. The order was, however, withdrawn in October, the source said. 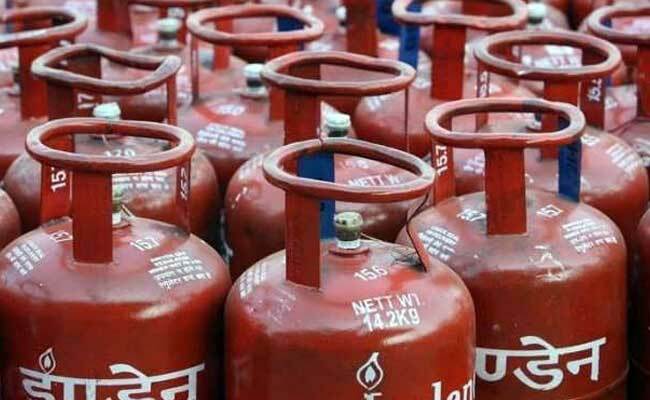 New Delhi: The government has withdrawn its decision to raise LPG prices by Rs 4 per cylinder every month as the move was seen contrary to its Ujjwala scheme of providing free cooking gas connections to the poor. The government had previously ordered public sector oil marketing companies to raise domestic cooking gas (LPG) prices by Rs 4 per cylinder every month beginning June 2016 with a view to eliminating subsidies. The order was, however, withdrawn in October, a top source said. Subsequently, Indian Oil Corporation (IOC), Bharat Petroleum Corporation Ltd (BPCL) and Hindustan Petroleum Corporation Ltd (HPCL) have not raised LPG prices from October. Previously, the oil firms were authorised to increase price of subsidised domestic LPG cylinder by Rs 2 per 14.2-kg cylinder per month (excluding VAT) with effect from July 1, 2016. Oil companies had hiked LPG rates on 10 occasions since that go-ahead. The quantum of hike was doubled through an order dated May 30, 2017. That order authorised the state-owned firms to continue to increase the effective price of subsidised domestic LPG by Rs 4 per cylinder effective June 1, 2017, per month (excluding VAT) till the reduction of government subsidy to 'nil' or March 2018 or further orders, whichever is earlier. The source said it was felt that raising prices was giving a contrary signal to users. On the one hand, the government was pushing for giving free cooking gas connections to the poor, but on the other, it was raising prices every month. To correct this, the order was withdrawn, he said. He also said there have been increase in price of subsidised LPG even after October mainly because of taxation issues. The taxation issue arose after implementation of the direct benefit transfer (DBT) scheme in which consumers are paid subsidy amount directly in their bank accounts, which is supposed to be used to buy market-priced LPG. "Before DBT, LPG was available at dealers at subsidised price. VAT was levied on that subsidised price. Now, LPG is only available at market price and GST is applicable on that price. Besides being higher than the subsidised price, the market price fluctuates every month, compelling changes in retail prices to account for the taxes," he explained. Cooking gas LPG price has been hiked by Rs 76.5 in 19 instalments in 17 months. State-owned oil marketing companies since July last year have been revising price of LPG on 1st of every month. The price of subsidised LPG was last raised by Rs 4.50 per cylinder on November 1 to Rs 495.69, according to a notification issued by state-owned firms. A 14.2-kg LPG cylinder was priced at Rs 419.18 in June 2016. According to the Petroleum Planning and Analysis Cell (PPAC) of the oil ministry, there is a subsidy of Rs 251.31 on every 14.2-kg subsidised LPG cylinder. Incidentally, the non-subsidised or market priced LPG rates were raised by Rs 5 per cylinder to Rs 747 a bottle on December 1. Non-subsidised LPG rates have moved in tandem with their cost since December 2013. There are as many as 18.11 crore customers of subsidised LPG in the country. These include over 3 crore poor women who were given free connections during the last one year under the Pradhan Mantri Ujjwala Yojana. There are 2.66 crore users of non-subsidised cooking gas, including those who gave up subsidy on call by Prime Minister Narendra Modi.